Aadhaar Act Verdict: The Supreme Court struck down Section 57 of Aadhaar Act which allows private entities to demand Aadhaar to access services. Aadhaar empowers marginalised sections of the society and gives them identity, which outweighs the harm, Supreme Court said, pronouncing the national identity card "constitutionally valid" in response to petitions raising violation of privacy. "One can't throw the baby out with the bathwater," said the judges, which asserted that private parties cannot seek Aadhaar data. The court, in a majority verdict, said Aadhaar is not compulsory for school admission. "Aadhaar gives dignity to marginalised sections, which outweighs the harm," said the court in its verdict on 27 petitions that challenged the constitutional validity of Aadhaar and called it a violation of the right to privacy. The court said "very, very minimal data" is collected for Aadhaar, that other documents required for Aadhaar are also proof of identity. Uniqueness was the fundamental difference between Aadhaar and other identity proof, the bench said. "We are of the view that there are sufficient safeguards to protect data collected under Aadhaar scheme." The Supreme Court struck down Section 57 of Aadhaar Act which allows private entities to demand Aadhaar to access services. However, no person will be denied benefits under social welfare scheme because of the failure of authentication through Aadhaar, the judges said. "We direct the government to ensure that illegal migrants are not issued Aadhaar," they said, adding that as of today they did not find anything in Aadhaar Act which violated the right to privacy of individual citizen. For a record 38 days, the top court heard some 27 petitions - including one by former High Court judge KS Puttaswamy - that had challenged the constitutional validity of Aadhaar and called it a violation of the right to privacy. The Supreme Court on Wednesday upheld the legality of Aadhaar restricting it to disbursement of social benefits and junking its requirement for cell phones and bank accounts, reported news agency IANS. * It is better to be unique than the best. Because, being the best makes you the number one, but being unique makes you the only one. 'Unique makes you the only one' is the central message of Aadhaar. * Education took us from thumb impression to signature, technology has taken us from signature to thumb impression, again. * The architecture of the Aadhaar Act reveals that the UIDAI is established as a statutory body which is given the task of developing the policy, procedure and system for issuing Aadhaar numbers to individuals and also to perform authentication thereof as per the provisions of the Act. * Throughout their lives, individuals are supposed to provide information: be it admission in a school or college or at the time of taking job or engaging in any profession or business activity, etc. When all this information is available in one place, in the form of Aadhaar card, it not only becomes unique, it would also qualify as a document of empowerment. Added with this feature, when an individual knows that no other person can clone it, it assumes greater significance. * The scheme (Aadhaar) by itself can be treated as laudable, more so, when it is voluntary in nature. Howsoever benevolent the scheme may be, it has to pass the muster of constitutionality. * In a scenario where the State is coming out with welfare schemes, there cannot be undue intrusion into personal autonomy on the pretext of conferment of economic benefits. * The architecture of Aadhaar as well as provisions of the Aadhaar Act do not tend to create a surveillance state. This is ensured by the manner in which the Aadhaar project operates. * The use of Aadhaar number has been increased manifold and, therefore, it is also necessary to take measures relating to ensuring security of the information provided by the individuals while enrolling for Aadhaar card. * The entire aim behind launching this programme is the 'inclusion' of the deserving persons who need to get such benefits. When it is serving much larger purpose by reaching hundreds of millions of deserving persons, it cannot be crucified on the unproven plea of exclusion of some. * What we are emphasising is that remedy is to plug the loopholes rather than axe a project, aimed for the welfare of large section of the society. Obviously, in order to address the failures of authentication, the remedy is to adopt alternative methods for identifying such persons, after finding the causes of failure in their cases. * We again emphasise that no person rightfully entitled to the benefits shall be denied the same on such grounds. It would be appropriate if a suitable provision be made in the concerned regulations for establishing an identity by alternative means, in situations like change in formation of fingerprints for various reasons, or failure of iris test due to certain reasons including blindness of a person. 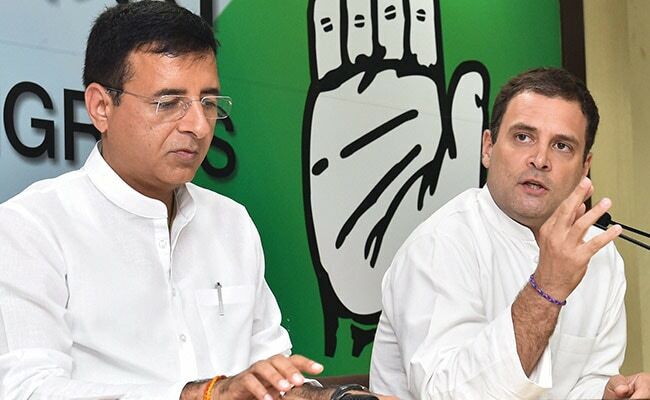 The Congress on Wednesday said it will approach the Supreme Court to reconsider the plea against passage of the legislation as a money bill, while welcoming the Supreme Court verdict striking down certain provisions of the Aadhaar scheme, terming it a "slap" on the BJP's face. 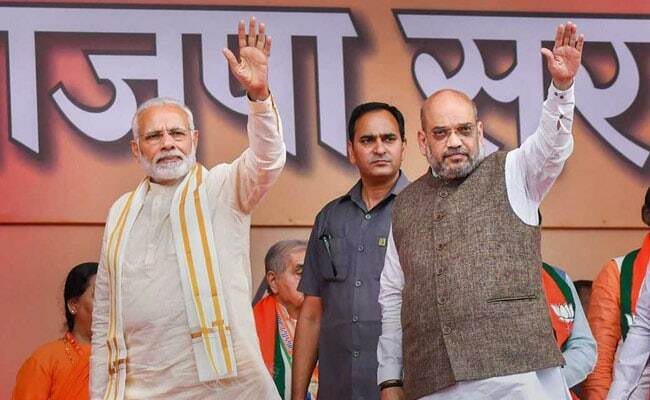 BJP president Amit Shah on Wednesday mocked Congress chief Rahul Gandhi after he claimed that the Supreme Court order on Aadhaar supported his party's vision, saying, "Yes, the Congress won today, just like they won Lok Sabha Polls in 2014". 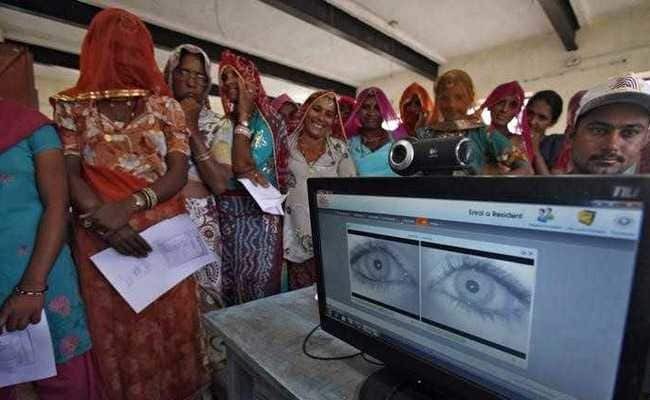 Welcoming the "historic, landmark" Supreme Court judgment, Aadhaar-issuing authority UIDAI on Wednesday said the Supreme Court has upheld the validity of the biometric identity system that neither creates a surveillance state nor violate privacy, according to news agency Press Trust of India. "It has been established by the judgement that Aadhaar is not for the state surveillance as profiling is not possible using the minimal data that Aadhaar has. There are sufficient safeguards to disallow any abuse," Unique Identification Authority of India (UIDAI) said welcoming "the historical and landmark majority judgement" of the Supreme Court of India. "Aadhaar Act has withstood the judicial scrutiny and the purpose of the Act is legitimate," it said, according to news agency PTI. UIDAI said the Supreme Court has upheld the constitutional validity of Aadhaar and accepted that there is a legitimate state aim in the 12-digit biometric ID. "Aadhaar as an idea is fully upheld that it does not create a surveillance state and does not violate privacy," it said in a statement. "The verdict Aadhaar is a tool of empowerment of the marginalised sections of the society," UIDAI said, according to PTI. The Supreme Court said on Wednesday that despite the heated public debate in and outside the courtroom on the validity of Aadhaar, it was not influenced by the views expressed either in favour or against the scheme, which has secured the enrolment of almost 1.1 billion people in the country, according to news agency Press Trust of India. The Supreme Court said that not only the commoners but the intelligentsia too was equally divided on the issue and there have been a number of articles and interviews for discourse in favour of or against the biometric ID. A five-judge constitution bench headed by Chief Justice Dipak Misra said, "We clarify that we have not been influenced by such views expressed either in favour or against Aadhaar," PTI reported. It said that despite the passions, emotions and annoyance exhibited by both sides in equal measure during the arguments, the Court while giving its judgment on the issues involved is required to have calmness coupled with objective examination of the issues on the touchstone of the constitutional provisions. "The issue has generated heated public debate as well. Even outside the Court, there are groups advocating in favour of the Aadhaar scheme and those who are stoutly opposing the same," said the bench, also comprising Justice AK Sikri, AM Khanwilkar, DY Chandrachud and Ashok Bhushan. Justice AK Sikri, who wrote the majority verdict for himself, Chief Justice Dipak Misra and AM Khanwilkar said: "Interestingly, it is not only the commoners who belong to either of the two groups but intelligentsia is also equally divided. There have been number of articles, interviews for discourses in favour of or against Aadhaar". In a separate 567-page verdict, Justice Sikri said that those in favour see Aadhaar project as ushering the nation into a regime of good governance, advancing socio-economic rights, economic prosperity and in the process they claim that it may make the nation a world leader, according to PTI. Congress, being the fountainhead of middlemen and corruption, tried every trick to fight and defeat Aadhaar, politically and legally. They tried to mislead people on various grounds, including scare-mongering on privacy. Today they stand exposed and defeated. Aadhaar under UPA Govt was Niradhar and had no purpose. UPA spent thousands of crores to enrol people without any law or scrutiny. Modi Govt gave it strong legal backing and integrated it in service delivery. This ensured savings of Rs 90,000 crores & benefited the poor. Today's Supreme Court Judgment is a strong validation of Aadhaar as an instrument of service delivery. It gives further impetus to empowering the poor by ensuring that they get their rights. "Aadhaar includes, it doesn't exclude," Nandan Nilekani said on Twitter. In a tweet, Nandan Nilekani said the Supreme Court "unequivocally validated" the founding principles for Aadhaar. This is a landmark judgement in favour of #Aadhaar. More than just opining on the constitutionality of the act, the SC has unequivocally validated the founding principles for Aadhaar. Aadhaar is a unique identity project that is critical to the developmental goals of the nation. Aadhaar includes, it doesn't exclude. The resident was once again recognised as being at the heart of the project, and they have gained new rights that help them assert their ownership over their data. Aadhaar has undergone the ultimate scrutiny in the highest court, and a lot of recommendations have been incorporated. Through the democratic process of discussion and debate, we have created a better and stronger Aadhaar together. Retired Justice KS Puttaswamy, one of the first to question the legality of Aadhaar, on Wednesday welcomed the landmark Supreme Court judgement upholding its validity but restricting it to disbursement of social benefits, according to news agency IANS. "After holistic consideration, my opinion is that the majority judgement on the validity of Aadhaar Act is correct though I have not read the whole judgement yet," the 92-year-old retired Karnataka High Court judge told the media in Bengaluru, reported IANS. A five-judge bench headed by Chief Justice Dipak Misra held that Aadhaar would be voluntary and not mandatory with an option to exit. On linking of Aadhaar with Permanent Account Number (PAN) mandatory, the retired judge said those who pay income tax are limited and they belong to a separate class, according to IANS. 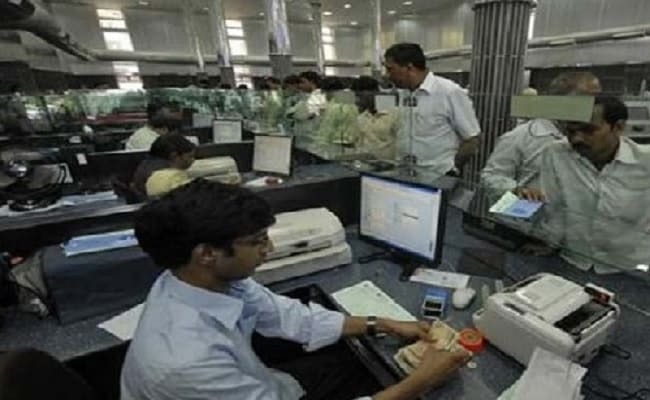 The Supreme Court order on Wednesday striking down the compulsory linking of Aadhaar card to bank accounts is welcome, said a top leader of the All India Bank Employees Association (AIBEA), according to news agency IANS. AIBEA General Secretary CH Venkatachalam also said that banks should stop issuing Aadhaar cards as it was not a banking activity. "The Supreme Court order making it unconstitutional the compulsory linking of Aadhaar cards with bank accounts is welcome," he said. "As far as banks are concerned, an Aadhaar card is one more card for identification of a person while opening an account. No other purpose is served beyond that," Mr Venkatachalam told IANS. 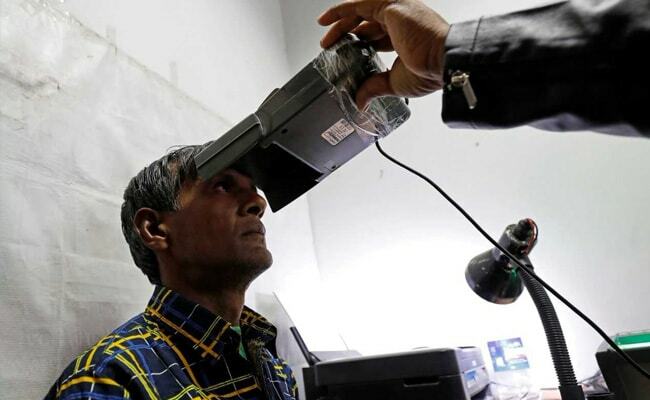 The Supreme Court verdict in the Aadhaar case is balanced as it has upheld the constitutional validity of the scheme while also addressing data privacy issues, leading figures in the information technology (IT) industry said, according to news agency Press Trust of India. The judgement removes a big barrier to the centre's flagship scheme's acceptability and "settles" the law, TV Mohandas Pai, a former Chief Financial Officer (CFO) of Infosys Ltd said. Another ex-CFO of Infosys, V Balakrishnan said the top court has come out with a balanced view on the issue. ".. the Supreme Court has in effect addressed many of the concerns related to wide use of Aadhaar data and resulting data privacy issues," Mr Balakrishnan said. As Aadhaar was declared constitutionally valid with conditions by a majority verdict of the Supreme Court, one of the five judges said the national identity card scheme, in its current form, cannot be held to be constitutional. "Allowing private players to use Aadhaar will lead to profiling which could be used to ascertain political views of citizens," said Justice DY Chandrachud in his dissenting judgement. * January 2009: Planning Commission notification on UIDAI. * 2010-2011: National Identification Authority of India Bill, 2010 introduced. * November 2012: Retired Justice KS Puttaswamy and others file pleas in Supreme Court challenging validity of Aadhaar. * November 2013: Supreme Court orders all states and Union Territories be impleaded as respondents. * March 3, 2016: Aadhaar Bill, 2016 introduced in Lok Sabha; later passed as Money Bill. * May 2017: Former Union minister and Congress leader Jairam Ramesh moves Supreme Court challenging the centre's decision to treat Aadhaar bill as a money bill. * August 24, 2017: Supreme Court nine-judge bench rules that right to privacy is a fundamental right. * December 15: Supreme Court extends deadline for mandatory linking of Aadhaar with various services and welfare schemes till March 31, 2018. * January 17, 2018: Supreme Court five-judge bench begins hearing Aadhaar case. * January 25: Supreme Court asks Chhattisgarh High Court to modify in 10 days its order directing all trial courts in the state to mandatorily accept copies of Aadhaar card for releasing an accused on bail. * Febuary 19: Delhi BJP leader Ashwini Kumar Upadhyay seeks direction to Election Commission to take appropriate steps to implement an 'Aadhaar based election voting system'. * February 21: Supreme Court says the alleged defect that citizens' biometric details under the Aadhaar scheme were being collected without any law, could be cured by subsequently bringing a statute. * March 7: Supreme Court says Aadhaar number not mandatory for enrolment of students in all India exams. * March 13: Supreme Court extends March 31 deadline of Aadhaar linking till it gives its order. * March 22: UIDAI CEO says breaking the Aadhaar encryption may take "more than the age of the universe for the fastest computer on earth". * March 28: Social activist Reshma Prasad seeks direction to the centre to create a separate third gender category option on PAN cards for transgenders. * April 3: Centre tells Supreme Court that Aadhaar law is just, fair & reasonable. * April 17: Supreme Court raises concerns that there is a threat of Aadhaar data misuse. * April 25: Supreme Court questions centre on mandatory seeding of Aadhaar with mobile. * May 10: Supreme Court reserves verdict. * September 26: Supreme Court upholds constitutional validity of Aadhaar but strikes down certain provisions including its linking with bank accounts, mobile phones and school admissions. 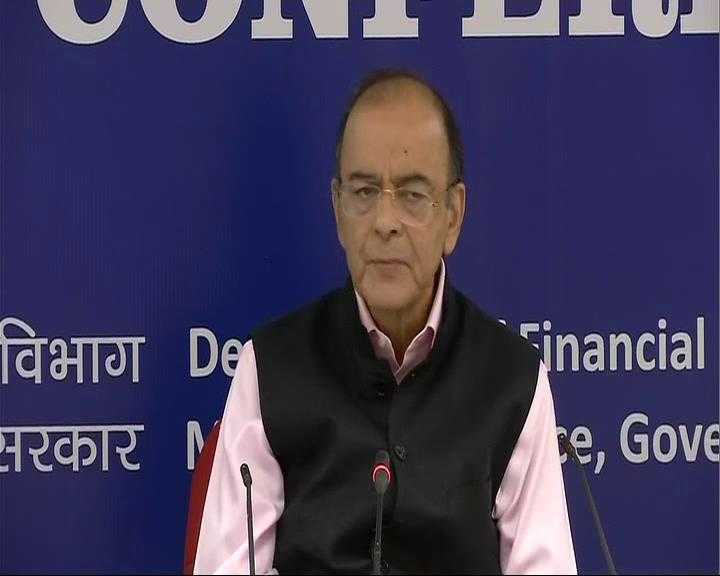 Describing the Supreme Court judgement on Aadhaar as "historic", Finance Minister Arun Jaitley today said, according to news agency Press Trust of India. It has helped the government in saving Rs 90,000 crore every year with targeted delivery of government schemes. The Supreme Court judgement kept the provision of Aadhaar mandatory for filing of IT returns and allotment of Permanent Account Number (PAN), according to PTI. "It is a historic judgement and the whole concept of unique identity number that has been accepted after judicial review is an extremely welcome decision. 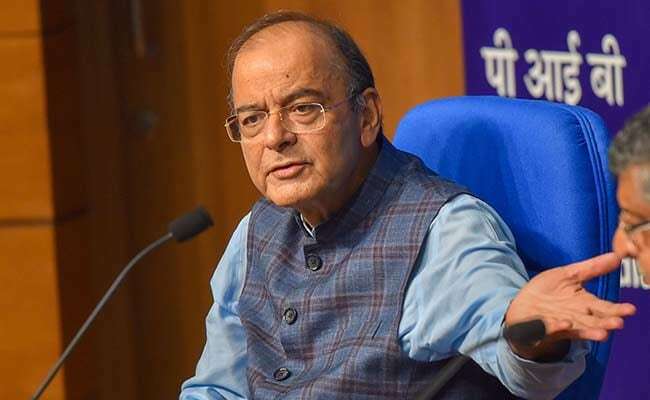 "There are now 122 crore people in India who have Aadhaar cards and our estimation is that by identifying beneficiaries of government schemes and ensuring that there are no fake or duplicate or non-existent beneficiaries, we are already saving Rs 90,000 crore every year," Mr Jaitley said, PTI reported. "The majority judgment in the Aadhaar case has retrieved the UPA's original idea of Aadhaar. Aadhaar was meant to be a benign instrument to deliver benefits, subsidies and services to the poor. Glad that the UPA's policy has been vindicated," P Chidambaram said in a tweet. "The Act came perilously close to being struck down on the ground it was passed as a Money Bill when it was not. The Act was saved by judicial forbearance," he added in another tweet. Several provisions of the Act and the Regulations have been struck down as unconstitutional. That is a humbling lesson for the Ministry of Law. The Act came perilously close to being struck down on the ground it was passed as a Money Bill when it was not. The Act was saved by judicial forbearance. The dissenting judgment of Justice Chandrachud has many valuable lessons for all governments, especially the imperious NDA government. They would do well to heed those lessons. Aadhaar remains work in progress. A future government will surely bring in amendments. For now, we can be satisfied that a rampaging government has been restrained and the reach of Aadhaar has been contained to benefits, subsidies and services paid out of the Consolidated Fund of India. "I think on the whole it is a good judgement. Though personally, I am happy with Justice Chandrachud's judgement striking it down on the ground that it bothers the right to privacy," former Attorney General Soli Sorabjee said. Rahul Gandhi has tweeted on Aadhaar, saying that for the Congress "was an instrument of empowerment." He also said that for the BJP, Aadhaar is "a tool of oppression and surveillance." He thanked the Supreme Court for "supporting the Congress vision". West Bengal Chief Minister Mamata Banerjee on Wednesday welcomed the Supreme Court judgement upholding its validity but restricting it to disbursement of social benefits, saying it vindicates her stand, reported news agency IANS. "People should have some rights. If bank and mobile phones are linked to Aadhaar card then everything about the person will come into public domain. That this logic is correct and irrefutable has been proved today," Ms Banerjee told the media. "We don't compromise or raise questions on government security or internal security. But if my account number becomes public, I may be cheated. This has already happened in ATM transactions," said Ms Banerjee, who is visiting Italy in a bid to rope in investment for her state, according to news agency IANS. Similarly, if the mobile phone number is linked to Aadhaar, "then the messages you send, or the calls you make, all information gets leaked". 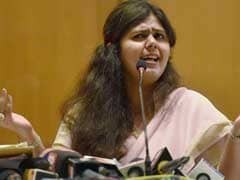 Calling the verdict a victory of the people, she said she has neither linked her bank account nor her mobile number to Aadhaar and have also asked people not to do so, reported IANS. In a majority judgment, a five-judge bench headed by Chief Justice Dipak Misra held that Aadhaar would be voluntary and not mandatory with an option to exit. "The majority judgment in the Aadhaar case has retrieved the UPA's original idea of Aadhaar. Aadhaar was meant to be a benign instrument to deliver benefits, subsidies and services to the poor. Glad that the UPA's policy has been vindicated," Congress leader P Chidambaram tweeted. "Congress introduced the idea and did not know what to do with it. Even during tabulation, it was unclear what it was going to be used for. The concept is when you want benefits, you need some identification. Haven't read the full text on the verdict. We will study it in detail. We were breaking new ground. While doing so, we were entering uncharted areas. What are the dos and dont's," Mr Jailey said. "An Estimated 122 crore people have Aadhaar card. Our estimation is that by identifying beneficial of government schemes and ensuring non duplication, we are saving 90,000 crore every year. The amount of money being spent on new/old schemes have resulted in revenue collection. We have made all of that tech based," says Arun Jaitley. "The money left from old schemes, through Aadhaar, we hope to serve the poor better. Tech as a tool of governance as instrument of revenue collection, is a concept no one can deny and Supreme Court, after reviewing this has held it constitutionally valid," he said. For the exclusion of a "minimal" three per cent, 97 per cent cannot be denied the benefits of Aadhaar, the top court said in a majority judgement, commenting: "One can't throw the baby out with the bathwater. "A five-judge constitutional bench cleared the use of Aadhaar for access to welfare schemes but struck down attempts to make it mandatory for bank accounts and mobile phone connections. The Aadhaar Act could not have been passed as Money Bill as it amounts to a fraud on the Constitution and is liable to be struck down, Supreme Court Justice D Y Chandrachud has said. Justice Chandrachud, who was part of the five-judge Constitution bench headed by Chief Justice Dipak Misra, wrote a separate judgement saying he had expressed some views different from that of the verdict pronounced by Justice A K Sikri. Bypassing the Rajya Sabha to pass the Aadhaar Act amounted to subterfuge and the law was liable to be struck down as being violative of Article 110 of the Constitution, he ruled. As Aadhaar was declared constitutionally valid with conditions by a majority verdict of the Supreme Court, one of the five judges said the national identity card scheme, in its current form, cannot be held to be constitutional. "Allowing private players to use Aadhaar will lead to profiling which could be used to ascertain political views of citizens," said Justice DY Chandrachud in his dissenting judgement." No, bank, cellular company, school or bank can ask for your Aadhaar. Majority in the bench has said that it can be passed as Money Bill. The Speakers decision can be challenged in court. Pronouncement concludes; 4-1 in favour of Aadhaar. Next judgment on live streaming of Supreme Court proceedings. "Aadhaar was Congress idea, we are not against it. But we were against how BJP govt extended it to all sorts of area. Why would you require Aadhaar for schools, exam, mobile connections," Congress MP Shashi Tharoor says. The Supreme Court has allowed linking of Aadhaar with PAN or Permanent Account Number, which is mandatory for filing of income tax return (ITR). The top court, however, ruled that it is not mandatory to link bank accounts with the 12-digit personal identification number. 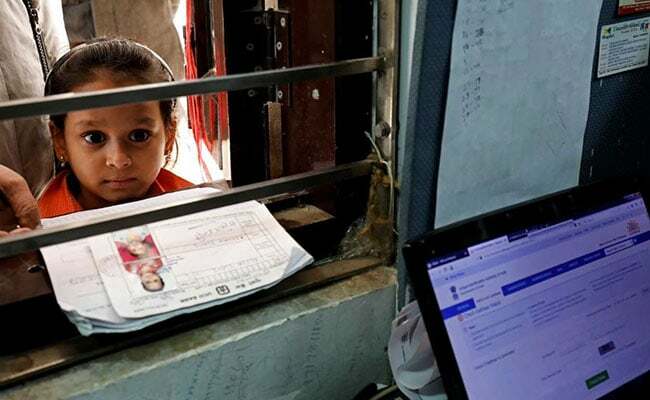 The Supreme Court said benefits under the Aadhaar project should be in the nature of welfare schemes and it cannot be made compulsory for services such as bank accounts, mobile connections or school admissions. The much-awaited verdict on the Aadhaar matter comes after several petitions had challenged the system on the grounds that it violates privacy. The top court, however, ruled that it is not mandatory to link bank accounts with the 12-digit personal identification number." Passing of bill as Money Bill when it does not qualify as one is unconstitutional, violates Basic Structure, DY Chandrachud says. 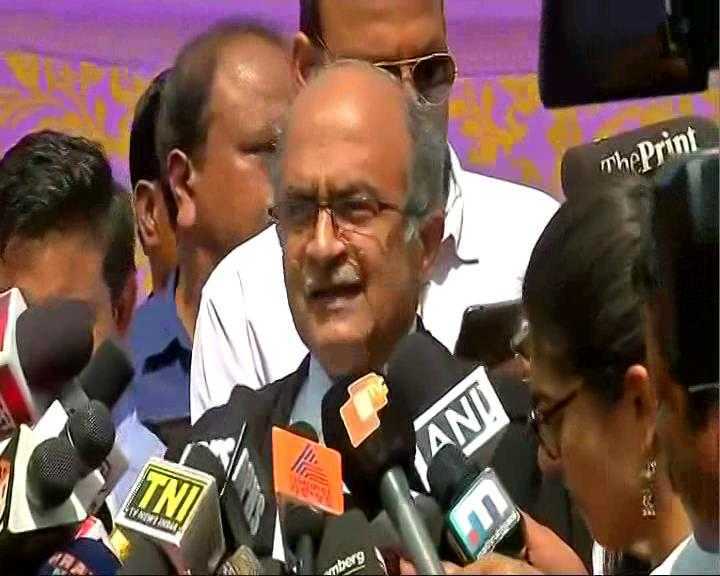 "I have not seen the complete Judgement...but so far most of the majority Judgement is fair," says Justice Puttaswamy, one of the petitioner in the case. Aadhaar cannot be mandated for opening of bank accounts, Supreme Court. Aadhaar cannot be mandatory for mobile connections; DoT notification to that effect unconstitutional. Under Section 2(B), Supreme Court asks government to take measures not to give Aadhaar to illegal immigrants. Supreme Court turns down argument on exclusion. Lot of people who will benefit due to inclusion cannot be denied due to exclusion of few; Can't throw baby out with bathwater, Supreme Court. Section 57 allows not only the state but also any "body corporate or person" or private entity to demand Aadhaar from citizens for the purpose of identification. It is this provision that gives statutory support to mobile companies, private service providers to seek individuals' Aadhaar card for identification purposes. Concept of Human dignity has been enlarged in the judgment. #Aadhaar was made the overarching proof of identity and residence, overriding all other prior identity proofs. But as it was rolled out, there were concerns about privacy, data security and recourse for citizens in the face of data leaks. Justice Sikri states that heavy reliance has been placed on Privacy judgment of 2017. Attack on aadhaar by petitioners is based on violation of rights under Part III of the Constitution, will lead us to become a surveillance State. Architecture of Aadhaar reveals that UIDAI is statutory body given task of authentication. Justice AK Sikri is reading the judgment. He says that Chief Justice Misra and Justice AM Khanwilkar agree with him. Judges have arrived in the court. The bench comprising Chief Justice of India Dipak Misra and Justices AK Sikri, AM Khanwilkar, DY Chandrachud and Ashok Bhushan will pass the verdict in the case. "The judgement will have a far reaching effect because Aadhaar is relevant for a large number of subsidies. It is also relevant to plug loot and waste that has happened. 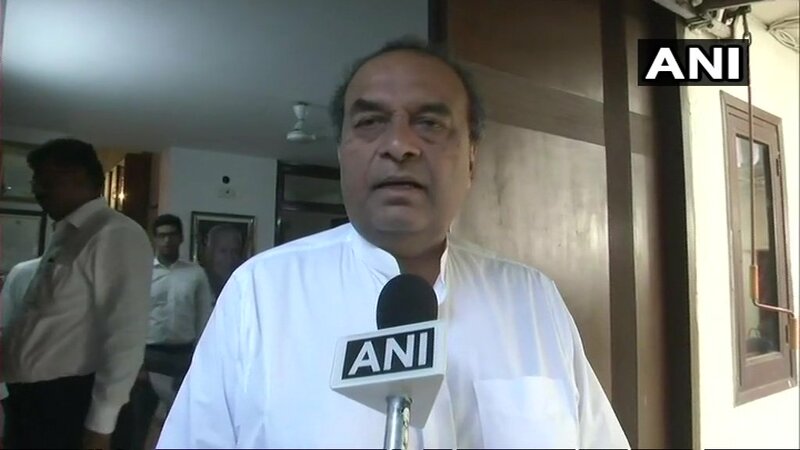 I hope the judgement is in favour of Aadhaar," former Attorney General Mukul Rohatgi, who represented the government in the case, was quoted by news agency ANI. "Data protection is very important and government has made it clear that it will protect the data. A law is also coming in this regard," he said. A decision on whether Aadhaar, or the national identity card, violates the Constitution, will be declared by five senior most judges of the Supreme Court today. For a record 38 days, the Supreme Court heard some 27 petitions that had challenged the constitutional validity of Aadhaar and called it a violation of the right to privacy." The Supreme Court is expected to give the verdict by 10:45 am. Aadhaar hearing was one of the longest hearings in the Supreme Court, second only to Kesavananda Bharati case. The first petition challenging Aadhaar was filed as far back as in 2012. The judgment will be pronounced by a Bench of Chief Justice of India, Dipak Misra and Justices AK Sikri, AM Khanwilkar, DY Chandrachud and Ashok Bhushan. As of now Centre has issued 139 notifications, practically touching every aspect of a citizen's day-to-day life, making Aadhaar linking mandatory. The Centre had defended Aadhaar on several grounds - the biggest being that it ensured proper distribution of benefits to millions and prevented siphoning of funds. Aadhaar data, government and Aadhaar authority UIADI contended, is safe and cannot be breached. 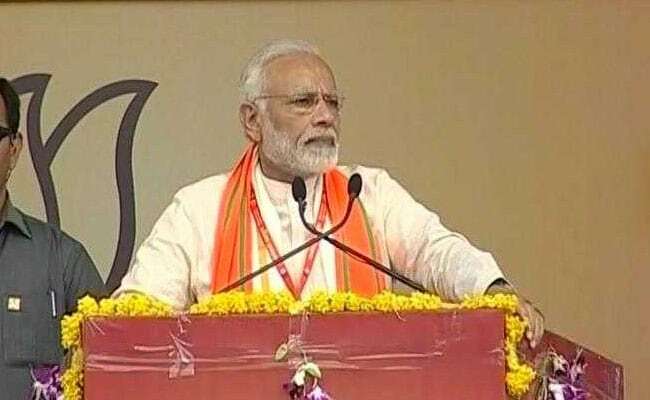 Even Prime Minister Narendra Modi had come out in defence of Aadhaar, saying it represented the march of technology and those opposing it "have lagged behind in technology -- either they cannot understand or are purposely spreading lies". The five-judge constitution bench comprising Chief Justice Dipak Misra, Justice A.K. Sikri, Justice A.M. Khanwilkar, Justice D.Y. Chandrachud and Justice Ashok Bhushan had reserved the verdict after hearing the petitions for over 38 days starting January 17 this year. The Supreme Court heard some 27 petitions that had challenged the constitutional validity of Aadhaar and called it a violation of the right to privacy. Some of the petitioners include seniors lawyers and also a former High Court judge. For a record 38 days, the top court heard some 27 petitions - including one by former High Court judge K S Puttaswamy - that had challenged the constitutional validity of Aadhaar and called it a violation of the right to privacy. Over one billion Indians have already signed up for Aadhaar, set up to be a secure form of digital identification for citizens to be used for government services. The 12-digit Unique Identification Number was made compulsory for services including bank accounts, PAN cards, cellphone services, passport and even driving licenses.